I took a trip to Parry Kauri Park in Warkworth today. 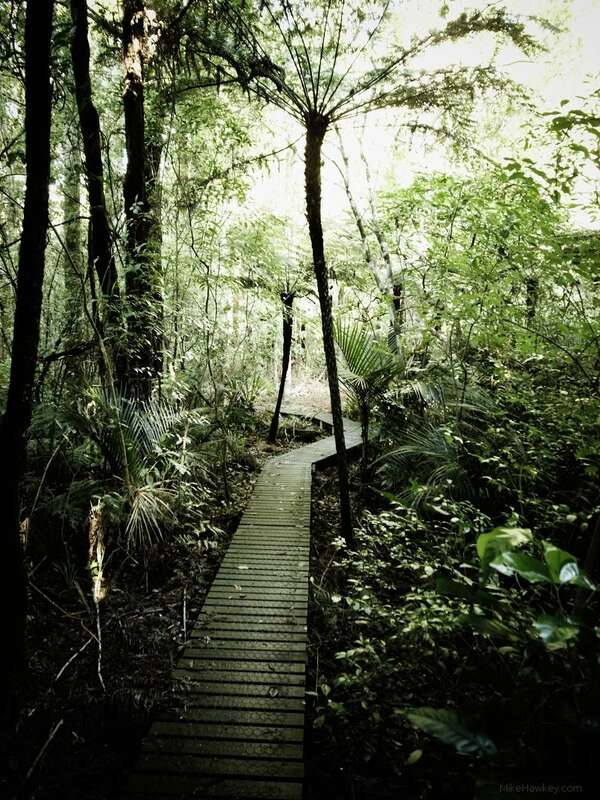 Located about 30min out of Auckland it is home to a small Kauri forrest, some being a few hundred years old. Its quite amazing when you look at the shear size of some of these tress that can live for more then several millenia – todays being babies! Tane Mahuta, New Zealands largest Kauri is estimated to be between 1250 and 2500 years old! – thats a lot of generations of people. Local volunteers maintain a track that loops through the forest park. Its entirely boardwalk, which is good as there is a Kauri disease called Dieback that threatens our great trees that is spread through soil. If you come to visit the great forrests, please do wash your shoes with the spray disinfectant supplied at at risk areas. Anyway, walking through the park I took a number of shots, ‘Into The Jungle’ being todays chosen image. It was in a more open area of the walk – some of it gets quite dark due to foliage. On a busy day when I don’t have time to take a shot I might post another image from the park. A great stop to make when heading north.